Beastie [bee-stee]: The overarching spirit of any species of insect, reptile, bird, mammal, or mythical creature that exists or has ever existed, from salmon and dragonflies to woolly mammoths and unicorns. As more and more people seek help with the challenges of modern life, many of us are looking to the wisdom of nature for guidance—especially when it comes in the form of spirit animals. In a quirky and delightful style, Sarah Seidelmann’s The Book of Beasties introduces us to the power of animal totems, or “beasties,” inviting us to explore why certain animals show up in our lives and what teachings they may be trying to share. 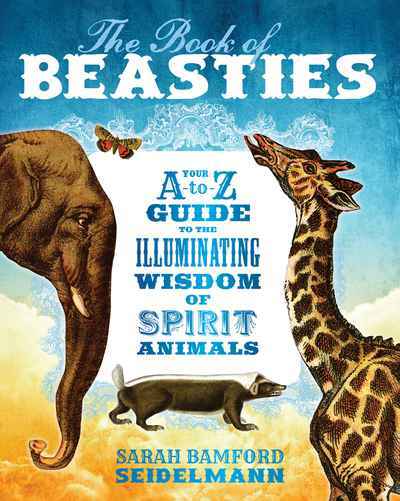 “A message brought by a beastie may be about beauty or family or work,” teaches Sarah. “It might offer you guidance on a prickly problem. Or it might make you smile just when you need it.” Perfect for seekers and shamans alike, created for people who live in the countryside or the big city, here is a book that decodes nature mysticism and invites you to explore the world of spirit animals.